Have you been to Barbados? No? Well, let me cordially invite you consider your next vacation destination to be the ultimate in Caribbean vacation bliss. At Villas Barbados we have curated a list of the most exquisite Barbados vacation rentals across the island that can cater to just about every vacation desire. Before I give you my personal top picks from this incredible list, allow me to introduce you to the Caribbean delight that is the island of Barbados. It hits the top of any list compiled of best beach destinations year on year. When you’ve looked at the views from some of these sublime Barbados vacation rentals on the beach, it becomes abundantly clear why it’s a winner with everyone. But first, why Barbados? The typical visitor to Barbados cannot be boxed into one category. For instance, this island lures holiday-makers who are looking for a family vacation, young couples (or not so young couples) who want to get married in an earthly paradise, honeymooners, mature travelers, golf enthusiasts, big game fishing groups, nature lovers, single travelers, writers, artists, celebrities …. The beauty of the island, the magical quality of sunlight as it plays over the limitless turquoise horizons of the Caribbean, brings eager visitors to its ambient shores each year. The one thing every guest to Barbados has in common is that they never simply make just one trip. Your very first vacation in Barbados is like an incredible first date of a relationship that deepens over time into a long-lasting and happy romance. Please don’t take my word for it, just ask anyone who has ever touched down in the gorgeous heart of the Caribbean destination that is Barbardos. With a nod to its English past, the British territory that is Barbados is made up of 11 parishes. These parishes offer different experiences to guests and I will use it as my guide to introduce you to some of the loveliest vacation rentals in Barbados. Located on the West Coast of the island of Barbados, this Parish is the site of the first British settlement (Holetown) and is now home to some of the most exclusive Barbados vacation home rentals. The beaches of Paynes Bay Beach, Alleynes Bay Beach and of course, Sandy Lane Beach … and many, many more attract discerning visitors each year. Points of Interest: The fabulous ancient chapel of St James’s is really worthy of a visit. The Sandy Lane Resort for a world-class golfing experience on the uber-stylish Green Monkey Course, dinner at Lone Star Restaurant on the beach. This exceptional property that can comfortably accommodate 10 guests in its five bedrooms, is the last word in luxury and service. Nestled in the very exclusive residential area of St James’s known as The Garden, The Dream is a spectacular property that sits in splendor in a large mature garden, designed around its beautiful 45’ swimming pool. In addition to all the usual comforts, there are two bars, a state of the art media room and the attentive service of discreet staff. One of the quietest beaches in Barbados is a mere 20 steps away. You can start each day with a refreshing swim before you enjoy your bespoke breakfast on the terrace. The lovely Holetown is a very short drive away and ready to be explored. 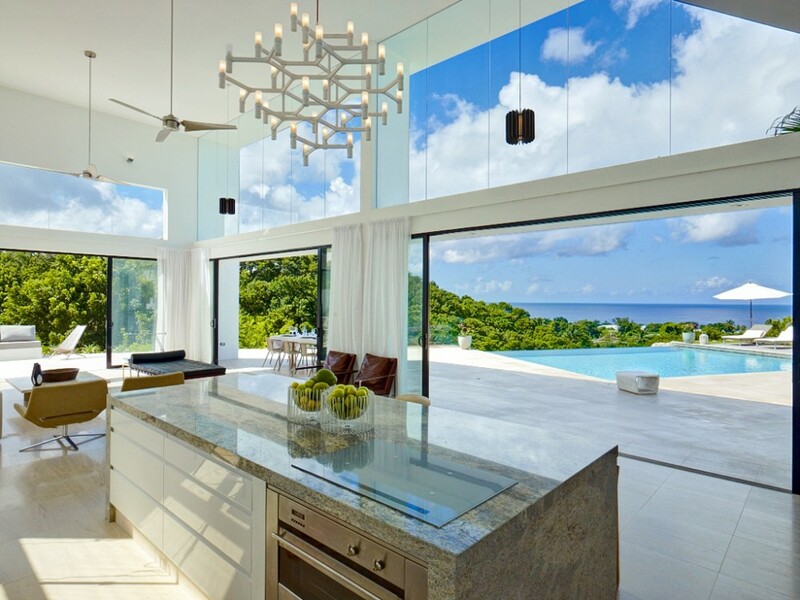 If you are looking for that perfect Barbados vacation rentals with chef, The Dream is the place where all of your desires become a reality. If you are in search of a chic and sophisticated base for your vacation in paradise, then look no further than Atelier Villa. As one of our most popular St James Barbados vacation rentals, this four bedroomed luxury villa commands a view over the Caribbean that captures the beauty of each day and offers a dazzling sunset each evening. Sitting behind its own electric gates, you will be expertly cared for by your dedicated housekeeping staff. The spacious grounds are filled with mature gardens whose lush green and colourful plants balance beautifully with the blues of your own infinity pool and the sea beyond. Golf, dining and shopping are all easily accessed and the magnificent Reeds Beach is a mere 500 yards away. Bliss! If you are a large group that want to share a holiday in the Caribbean, then Crystal Springs is probably the most suitable vacation rentals Barbados west coast has to offer. On two acres of mature and lush gardens, this property has been completely renovated by the designer Oliver Messel. The spectacular pictures really don’t do full justice to this gorgeous property that enjoys a shaded position above one of the loveliest beaches on the island. Fresh white interiors interspersed with splashes of bright tropical colours create the backdrop for what promises to be a relaxing and fun holiday. It certainly helps that this property has a team of staff that includes a chef, a butler, your own personal boatman and security personnel whose role is to ensure you have a bespoke and memorable vacation experience. Ju Ju’s beach bar is a short distance away and terrific for a casual lunch. The fabulous Alleynes Beach is easily accessed too. 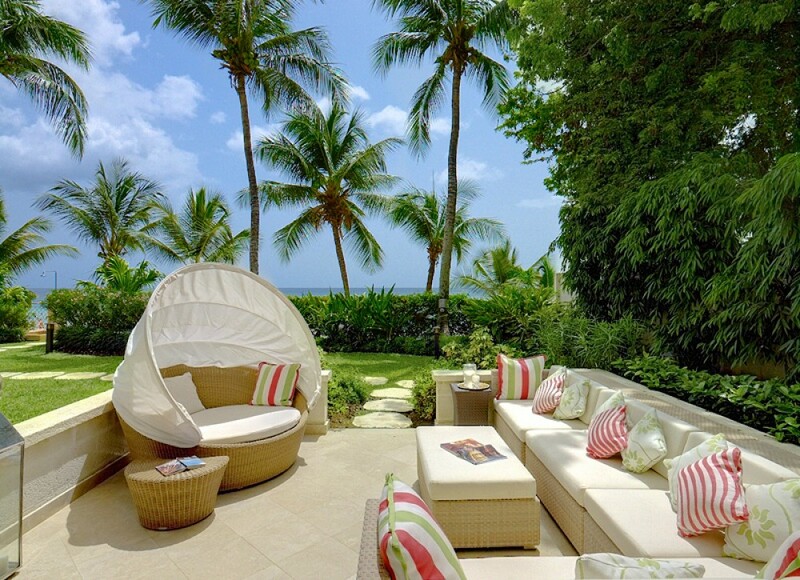 This three bedroomed villa has access direct to the stunning Paynes Bay Beach. Offering modern and luxurious accommodations for 6 guests, Smuggler’s Cove has its own dedicated housekeeper who ensures you are well cared for. The shared pool sits in lovely mature gardens that feel very private. At low tide, you can easily manage the stroll to Sandy Lane Resort and enjoy a special lunch or a round of golf. Why not let our experienced Concierge Staff pre-book all of your holiday adventures? 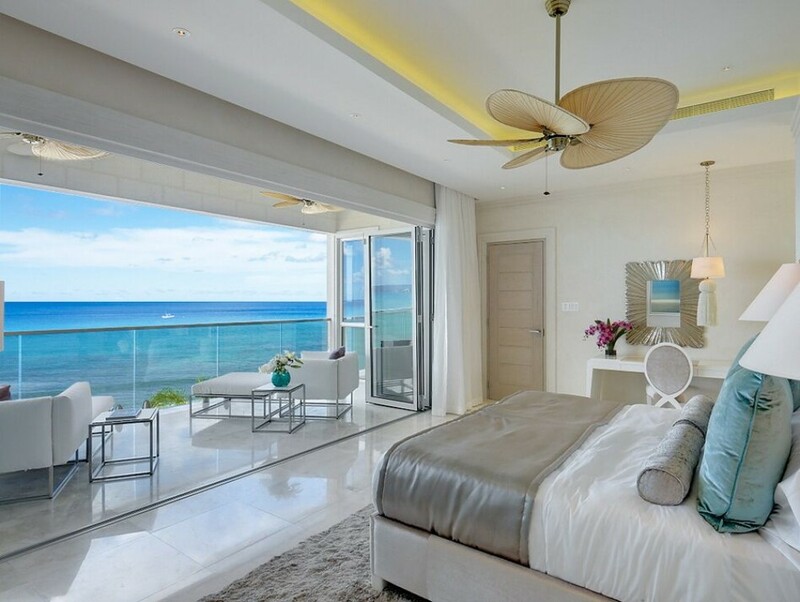 With five beautifully appointed bedrooms, Villa Windward located within the prestigious Sandy Lane Estate on the island’s Platinum Coast, is one of the Barbados vacation rentals that’s really worth considering. This spacious property with a team of staff that includes a chef, housekeeper, gardener and laundress allows guests access to the Sandy Lane Beach Club. The classic contemporary style of this luxurious property sees open terrace areas flowing seamlessly onto mature green gardens. You have your own private pool and a cute gazebo area ideal for breakfast or lunch. This is the perfect property for a large multi-generational family vacation or for a group of golfers who are interested in trying some of the world-renowned golf courses nearby. 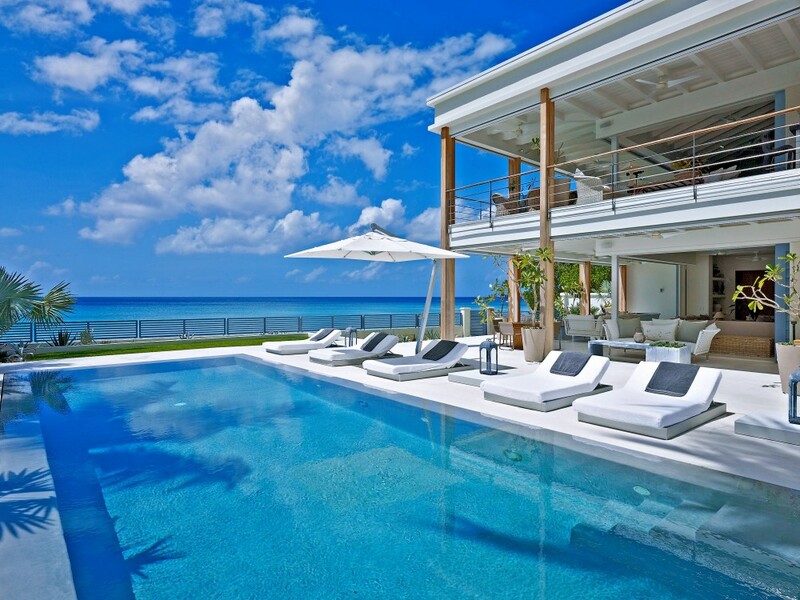 The incredible weather enjoyed all year round in Barbados certainly lends itself to architectural greatness. The ultra-modern, yet sumptuous Bonita villa is the epitome of what great architecture can achieve when it works with its environment. The sleek lines of the terraces around this beautiful pool, the open and airy nature of the internal / outside spaces bring a new standard of chic to Caribbean living. This property can comfortably accommodate 12 lucky guest who can enjoy high levels of privacy within this property while at the same time having easy access to the perfection that is the beach at Prospect Bay. The pool is surrounded on three sides by the villa creating a very inclusive design to this beautifully appointed property. With your own chef, housekeeper and villa manager, your visit to Bonita will be as relaxing as it is luxurious. This parish commands the prime location in the north-west corner of Barbados. It is a combination of pretty small fishing towns, historic sites and stunning beaches like Mullins Beach, Heywood’s Beach and Gibbes Beach. Point of Interest: St Nicholas’s Abbey, an ancient Jacobean building, Farley Hill National Park – animal sanctuary where you can see the elusive green monkeys, Speightstown, second only in size to Bridgetown. This beautiful resort, comprising a number of self-contained units, has all of the benefits of being part of a full-serviced resort. There is a fitness centre, a spa, water sports, beautiful pools, restaurants and all of this sitting on the edge of one of the most spectacular beaches on Barbados. The gentle swell of the Caribbean offers the perfect conditions for paddle boarding and snorkeling to the reef structure that lies just off-shore. In my view, this is probably one of the best destinations for young families who want to be part of a serviced resort but have the privacy and space to decompress together. With your own private kitchen area, you can prepare casual family meals on a quiet night in after a day enjoying all the fun resort activities that are available to young guests. This three bedroomed luxurious property is a 2 minute stroll from the fabulous Gibbs Beach. The décor is exquisite with creamy interiors opening out into lush green gardens. The 3,000 sqft pool that is shared by the other units in this small development has a unique waterfall feature. The lovely Gibbs Beach has a lot of natural shade making it an ideal place to spend a day, splashing in the temperate waters of the Caribbean. With your dedicated housekeeper who is with you each day from 9am to 5pm, you can be assured of attentive service. There’s something really lovely about this 4 bedroomed gem. It’s a combination of the large 2-acre gardens, the delightful pool and the traditional and classic design and décor of the villa. This property offers guests a very elegant and traditional base from which to enjoy the best of Barbados. The beach front location of Leamington Pavilion gives guests all of the privacy and discreet service within the villa grounds or step out onto the beach to enjoy leisurely walks or swims. Complete with tennis court and gym, there’s plenty of activity for those who like a busy holiday. A quieter experience can be enjoyed too under a shading coconut palm. This is the property that pleases everyone. Your private chef and housekeeping staff create a relaxed ambiance – as you enjoy yet another candlelit dinner on your terrace, you’ll struggle to find a reason to reach beyond your own peaceful home. This parish occupying the south-western shores of Barbados is home to the main town of the island, Bridgetown. This town has a fabulous marina, lots of Duty Free shopping and a wealth of historic colonial buildings. It is a vibrant and colourful city and designated a UNESCO World Heritage Site. It’s really worth a visit. Points of Interest: Carlisle Bay has a few interesting ship wrecks so great for diving. Visit Mount Gay to try its amazing run. Take a submarine tour with Atlantis Submarines. Any of the properties listed in both St James and St Peter’s Parishes are ideally suited as bases to explore the fascinating Bridgetown and the Parish of St Michael. For decades, Villas Barbados has been a match-maker par excellence, introducing our clients to some of the most divine vacation home rentals in Barbados. We are very particular about the properties we represent. The location, the quality of the facilities, the level of service are of prime importance as well as knowing that the properties are maintained to the highest standards all year round. Our talented and friendly concierge team visit Barbados each year to personally inspect each property. We work closely with the owners / managers of these properties and have a well-established and happy relationship with the key staff members in each villa. What all of this means is that when you contact us, we are best placed to advise you on the perfect villa for your vacation needs. So, whether you are a young family, a honeymoon couple, a group of golfers or a wedding party …. Be assured, we will understand what it is that will make your holiday not just relaxing but memorable. Villas Barbados will build the happiest vacation for you and envelope you in a cocoon of bliss from the moment your wheels touch down in this magical corner of the world. We are waiting to introduce you to the destination of your dreams.